On our way to creating the future that we desire and deserve there’s really only one person that can stop us — ourselves. And many of us do. We get caught up in the voices that tell us that we’re not ready, not qualified, and not good enough. So how do we get beyond those messages to take action in the direction of our dreams? 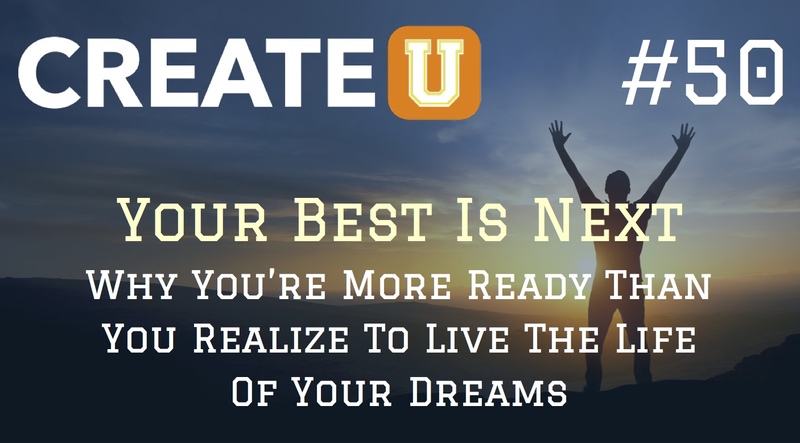 Today, I’m going to share the main message of my book Your Best Is Next and help you see why you’re more ready than you realize to live the life you’ve always wanted. 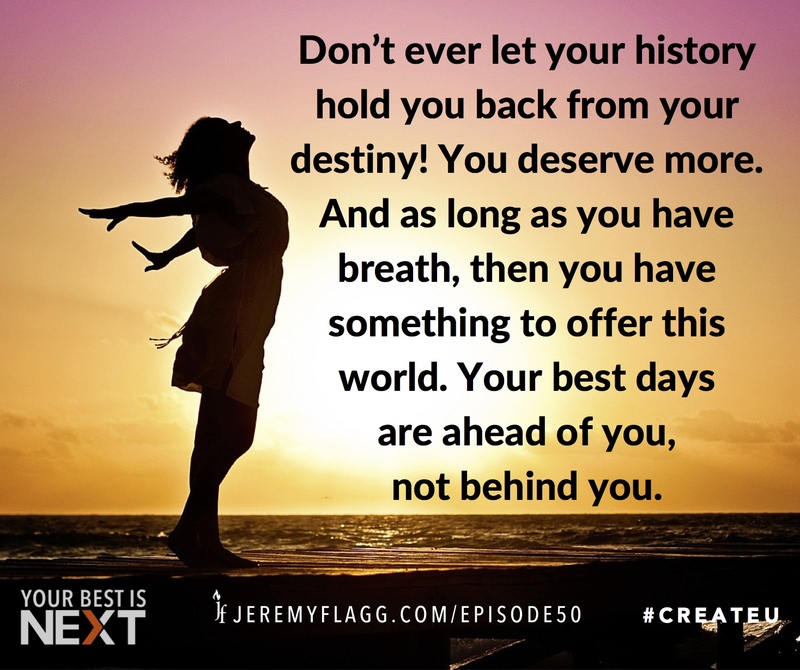 So, if you’ve ever felt like you just don’t deserve the future you desire or you’ve suffered from feeling as though you’re just not quite ready to take the leap into the uncertain future of your dreams, then listen today as I help you see that your best is next. Save and share this quote card to remind yourself that your best days are ahead of you. Your best is next! Grab a copy of my book Your Best Is Next to get the 6 keys to creating your fulfilling future and make your dreams a reality. Question: What do you imagine your life will be like if you don’t go for it, if you don’t march forth to create the fulfilling future you desire? Are you willing to settle for living what someone else thinks is the life you should have? Why or why not? You can leave a comment by clicking here.